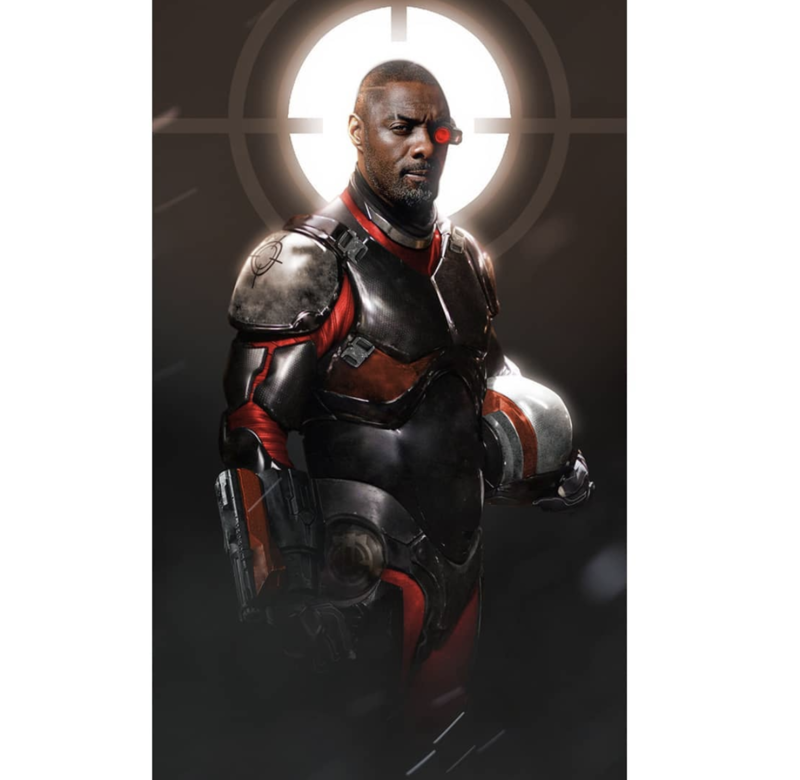 It turns out Idris Elba won’t be playing Deadshot in The Suicide Squad, after all. That is to say that the British star will still be a part of James Gunn’s upcoming DC anti-hero team-up movie, but his role has been revised into a completely different character and he won’t be taking over the gun-toting criminal played by Will Smith in 2016’s Suicide Squad. Variety reports that, after several weeks of discussion, Gunn and Warner Bros. have decided to move on from the character of Floyd Lawton and hand Elba a fresh role to portray instead. It’s said that all parties involved in the film agreed that this was the right decision. The explanation given is that they didn’t want to disrespect Smith by replacing him in this way and Variety clarifies that the only reason he didn’t commit to the sequel is because of scheduling conflicts and not any sort of creative clash. This leaves the door open for Smith to return as Deadshot in the future, perhaps even in that touted spinoff movie starring the crackshot Batman villain. However, Variety asserts that there’s only a “slim” chance that this could happen. As for Elba’s new character, no details are available at the moment, so he could be someone else pulled from the comics or perhaps even an original creation by Gunn. If this sounds as if WB’s backing down on its description of the movie as a “total reboot” and not a straight-up sequel to David Ayer’s previous effort, that’s not actually the case. Even though it’s looking more and more like a follow-up as Viola Davis has signed up as Amanda Waller, Jai Courtney is back as Captain Boomerang and Margot Robbie is expected to reprise her fan favorite role as Harley Quinn. The Suicide Squad – which is set to see Task Force X come up against a female alien villain – will start shooting this fall before releasing in cinemas on August 6th, 2021.